Why You So Stubborn, Diabetes? 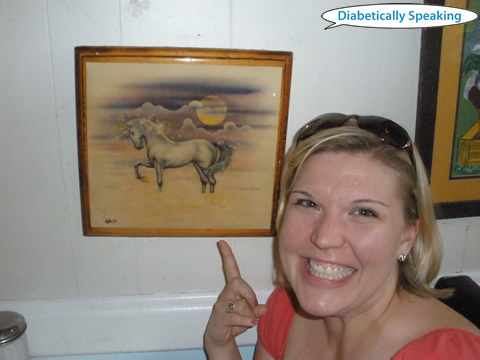 I think of myself as a typically optimistic person, especially when it comes to my diabetes, because really my life with diabetes is better when I’m able to cast it in a positive light. Even so, that doesn’t mean that I don’t spend a few days in the trough of a wave every once in awhile. I like to make a big breakfast at least one morning on the weekend. I’m doing good to get dressed and get to work on the weekdays, so Sunday mornings are my time to pause and enjoy the thrills of a pot (or two) of coffee, eggs, sausage or bacon, and Meet the Press with A-Flizzle. If you ordered that meal at Denny’s, it would be a Grand Slam Nerdy, and could you leave a carafe of coffee on the table please? I found a little bit of Bisquick left in the fridge, which is weird because most people put that in the pantry, but I decided to use it up and make a couple of pancakes. I limited myself to just one pancake, the one that came out looking like it had been put in somebody’s pocket instead of in the skillet, because I didn’t want my blood sugar to go through the roof or anything crazy. And it didn’t. It just hovered around the stinkin’ penthouse suite all day long, making me real frustrated because it wouldn’t come back down to the lobby where all the normal BG’s hang out. That was the only starch that I had on the day, and I hovered around 200 mg/dl all day long. Being used to running a BG of around 100 lately, I felt that 200 in full effect. I even resorted to rage bolusing, just throwing a max amount of insulin at it to try and get it to budge. We went to see Hunger Games with some friends, and I barely touched the popcorn. Then we went to dinner afterward, and I couldn’t even eat because I was so nauseous and thirsty from the stubborn high BG. Finally, after I got home and gave up, I started to sink back down to normal again. I ended up having to take over 100 units of insulin today to combat diabetes. That really, REALLY frustrates me, considering how a normal day for me (with carbs) is closer to 60 or 70. In hindsight, I shouldn’t have eaten that pancake, but there was no way of knowing that it would have been so stubborn all day long. The beauty of the conundrum is that it might not have even been the pancake. It could have been that my insulin lost its potency, or that I’m fighting off a virus of some kind, or that I was wearing green today instead of blue and my diabetes was offended. In other words, who knows? Some of you may be reading this and thinking, “Wow, he’s got the diabetes real bad.” You may be thinking, “He really isn’t taking care of himself having to dose that much to get his blood sugars to cooperate.” You might even be thinking, “I would have been pissed too if that guy had woken me up with that damn lawnmower!” Or you might just be thinking, “Yup, been there, done that.” I’m convinced that some days diabetes has a mind of its own and does whatever it damn well pleases, regardless of what we try to do to “control” it. Fighting back the tears, I was telling A-Flizzle about how frustrated it makes me when I feel like I have no control over what my body and diabetes has decided it wants to do. I hate feeling like I’m just strapped in and along for the ride, wherever it may take me. That is why I have the CGM, why I check my blood sugar on average 6-8 times a day, and why I try and count everything that goes in my mouth so that when I do make a mistake, hopefully it isn’t a complete disaster. This situation is a good reminder to myself that we can do seemingly everything right in our lives with diabetes, from correct carb counting, insulin dosing, BG checking, and everything else, and yet we can still have those days where all of the pieces just refuse to fit together. Tomorrow is a new day, with a new inset, and a fresh reservoir of insulin in my pump. So bring it beetus! I’ll be your Huckleberry. It’s hard to describe, and even differentiate sometimes, the difference between having a low blood sugar and just running on pure empty from not eating all day. All week, since Daylight Savings Time kicked in, I have been trying to outrun the clock and get to work on time. I love DST, don’t get me wrong, but it’s really hard to get up in the morning when it’s still dark outside. Okay, who am I kidding? It’s hard for me to get up in the morning whether it’s dark outside or not. Yesterday morning was no different. Running late, I brushed my teeth, grabbed my work gear, made certain that I wasn’t walking out of the house with flip flops and pajama pants on, and hit the road. I realized when I grabbed my messenger bag out of my car that it was lighter than usual. Turns out I had left my lunch (leftover white bean chicken chili from dinner the night before) at home. It happens, right? This wouldn’t normally be a problem, but I have a habit (a good habit, if you’re viewing things from my employer’s perspective) of getting to work and throwing myself into things and not stopping. I’m notorious for working through lunch, skipping breaks, and looking at the clock to surprisingly discover that it’s mid-afternoon and I haven’t seen the outside of my office all day. 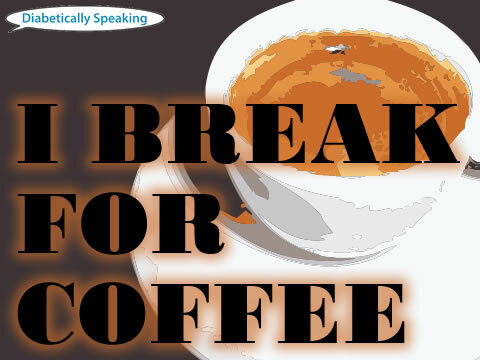 The only thing that I will consistently break for is coffee. After my second cup of coffee…okay, third cup…maybe fourth cup…I realized that I was pretty much plowing through my day of meetings, emails, phone calls, and one-armed library dragon training. Once I was done, and those dragons were tamed well enough to stamp due dates in library books like they were born with that one lonely arm to do just that instead of burn villages and terrorize innocent monks (Trogdor!!! ), I called it a day and headed home. Now, I knew I had been moderately low all day. I’m back to wearing my Continuous Glucose Monitor (CGM) again, after a slight hiatus from all the beeping and bonking and wee-ooo-wee-ooo-wee-ooo alarms waking me up in the middle of the night, and it had warned me off and on all day that I was hovering around 75 mg/dl. Still, I didn’t stop to treat it or deal with it. I just kept working. When I got home, A-Flizzle and our pal EriCAH were there, so I started preparing dinner. Yay, food! I kept noticing that I was agitated with everything, but I didn’t have the sense to question why. Cutting the chicken and vegetables, I was seething. Trying to figure out how to make the chicken stock thicker, I was fuming. When I realized that we only had a single serving of rice, I was mulling over what it would be like to throw the refrigerator off a cliff. It was so ridiculous that I was getting on my own nerves. I must have been driving A-Flizzle and EriCAH crazy. That was when I realized I had reached my limit. I was low. I was hungry. I was angry. I was HANGRY! And I was making dinner and the food was too raw to eat immediately. Oh, the agony! The horribleness! The tragedy! I’ll probably do it again though. Because I’m stubborn like that. Floating around various blogs, some diabetes-related, others just pure nonsense, I’ve noticed that several writers have posts that follow a particular theme at times. I’ve tried Monday Mantras, but I tend to get really busy on Monday’s and forget to do them. Or I can’t find a Sharpie pen to write with. Or my Post-Its to write on. But mostly, I just forget. 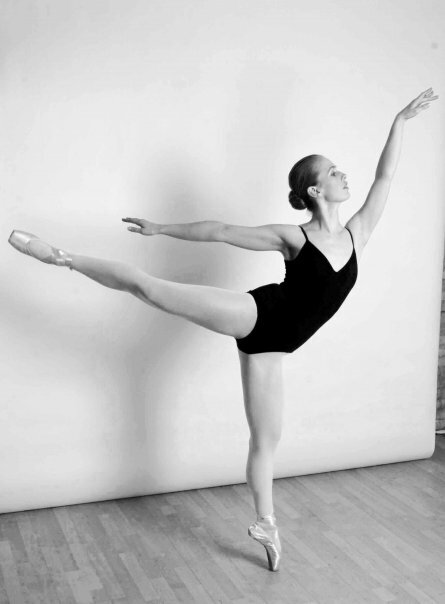 Sara over at Moments of Wonderful does this cool thing called Faith Fridays. I’m not a particularly religious person (faith, yes…religion, not so much), but I really dig what she shares because she connects it to her real life. I think that faith must have that connection to real life to have much meaning. Your ability to walk on water may vary from mine…I tend to sink pretty quick. I know me, probably better than most people do. I know that I have a hard time doing anything on a consistent basis, with the exception of DSMA on Wednesday nights and having coffee every morning. EVERY. MORNING. I have to really be passionate about something to keep it going for a significant length of time (ahem…this blog). I also need to have the vision to see where something is going. If I can’t see the end result myself, or have it explained to me by someone, then it can be difficult to get me to buy into it. I like to dream big, and in detail. Doing something just to keep the ship afloat does me no good if I can’t envision the paradise that the ship is sailing to. Part of having and developing a vision for the future, any future, is having curiosity and the desire to learn something new. A world where people know everything would be pretty dull. While showering (you just never know where inspiration is going to strike, I tell ya! ), I thought up an idea to share some of the things that I learn each month. Also, if you want to write a post and participate at any time, just throw in the hashtag #SOWIL (stands for Some Of What I Learned) and feel free! Daily blogging is hard to do, but doing it for National Health Blog Post Month is totally worth it. If you have diabetes, you should get gifts on World Diabetes Day. Disney World is indeed a magical place. More so if you have an A-Flizzle. If you lose your phone at Epcot (or any park at Disney World) and they tell you that it is with Lost & Found at the Front Gate, that means it’s at Magic Kingdom. The Muppets are just as lovable, fun, and relevant as they were when I was a kid. And I think they should get a weekly show, like Saturday Night Live, only Muppetier. Mahna mahna. 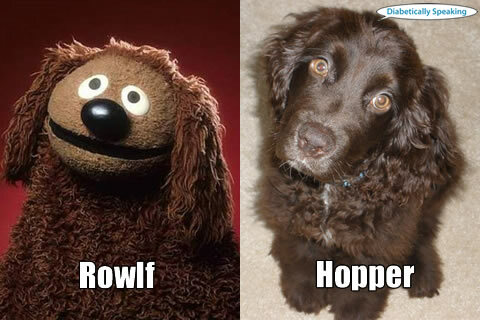 My dog has an uncanny resemblance to Rowlf. 99% of the diabetes online community prefers kindness over meanness. Also, 47.3% of all statistics are made up on the spot. But I’m certain that 99% is a pretty close estimate. I miss having CGM data. I don’t miss stabbing myself with the harpoon and the uncomfortableness of wearing the CGM sensor. Can someone please come out with less intrusive CGM technology? Samsung and Verizon are probably the worst two companies in the world to work together to introduce new technology in a timely manner. Especially when I need a new phone, and theirs is the one that I want. I hate calling diabetes an illness. It implies that I am sick. I feel like sick should be reserved for people that are in dire straights, in need of immediate medical attention. We’re all patients in some way, shape, or form, but not all the time, and certainly not every day. Still, there are chronic conditions that some of us have to operate with, and in honor of Invisible Illness Week (which was actually last week, but humor me anyway), here is a list of things about mine that maybe you didn’t know. 1. The illness I live with is: Type 1 diabetes. Simply put, my body does not produce insulin. Not even a little. Not even at all. 3. But I had symptoms since: I was two years old when I was diagnosed. You see, what had happened was I was minding my own business out in my yard, playing with my ball, just doing my thing. Then this girl comes along with her milkshake, and all these other boys showed up in the yard. Next thing I knew, I had diabetes. True story. 4. The biggest adjustment I’ve had to make is: I make adjustments with diabetes every single day. It’s a disease that requires near constant adjusting. I have to make adjustments in the amount of insulin I take based on what I eat, how active I am, what kind of activity I am doing, if I am sick, and sometimes for no reason at all. 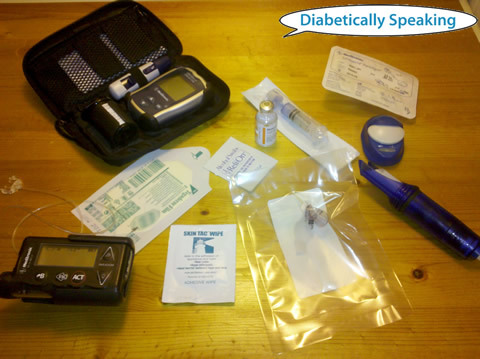 Every single day is different with diabetes, and the biggest adjustment is accepting that life is not scripted. 5. Most people assume: That if I’m having a low blood sugar, I need insulin. That is exactly what I do NOT need when I’m low! Insulin is a hormone responsible for lowering blood sugar, not raising it. Do not touch my insulin pump…EVER. If I am low and need your assistance, I need you to help me get something in me that is easy to chew and swallow that has glucose or sugar in it to get my blood sugar up fast, such as glucose tabs, juice, or even a regular Coke (not Diet!). If I am unresponsive, or you cannot get me to cooperate, please don’t hesitate to call 911 and ask for help. I’ll thank you later. 6. The hardest part about mornings are: Everything. I hate mornings. Especially before I’ve had my coffee. 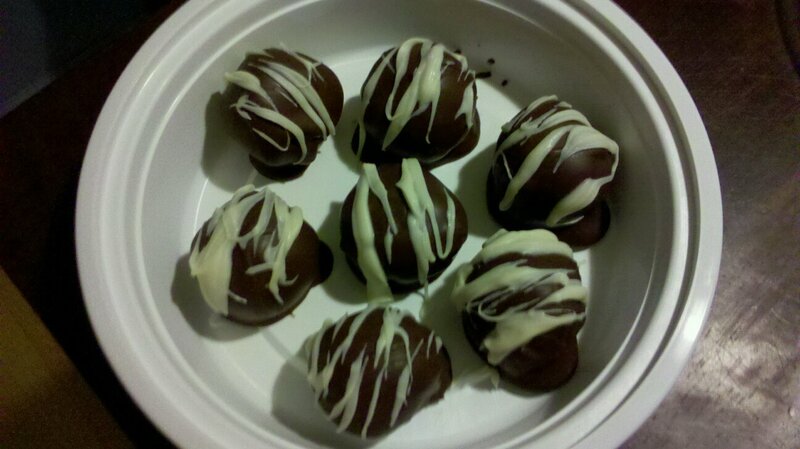 Sometimes the grumpiness is exaggerated by an early morning low or high blood sugar, making me even more…um, difficult. See #5 above for what you should do if I’m low. 9. The hardest part about nights are: Sleeping. Not only do I feel like sleep is the single most biggest waste of time ever, it is also dangerous for a person with Type 1 diabetes because it is when we are most vulnerable. Sleep is the time when our blood sugar can drop or rise without our being aware, and without the ability to correct it. Too many people, adults and children alike, have been lost to Dead in Bed Syndrome. This is reason enough for why we need a cure…NOW. 11. Regarding alternative treatments I: The treatment for Type 1 diabetes is insulin and monitoring your blood sugar closely, period. The alternatives are health complications and death. I have full faith that science will one day deliver a cure for diabetes. Until then, no amount of exotic fruit or juice from a berry whose name I can’t pronounce is going to get us there. We absolutely must take insulin to keep us alive and well. Still, insulin is not a cure. Neither is cinnamon. 12. If I had to choose between an invisible illness or visible I would choose: Definitely invisible. I appreciate the choice of how visible or invisible I want my diabetes to be. Though I normally don’t, if I choose to hide my diabetes, I can. 13. Regarding working and career: I’m a medical librarian, a diabetes blogger and advocate, I teach, I speak, I travel, and I do anything that anyone else can…and I do it with Type 1 diabetes. I would love to someday have a job working closer with diabetes, on a diabetes hub, maybe with a company that focuses on diabetes, or that will work with me to work with others with diabetes. I absolutely love meeting other people with diabetes, sharing with them, helping them, and seeing that look when a parent realizes that their child with diabetes is going to grow up and be okay, or when that adult with diabetes finally finds someone else to share with who simply gets it. 14. People would be surprised to know: That even after more than 30 years with diabetes, there is still much of it that I can’t explain. For example, how can my CGM tell me that I have a “Low Predicted” and then an hour later I’m high with a BG of 170 mg/dl? Diabetes is pure nonsense sometimes. 15. The hardest thing to accept about my new reality has been: It’s not new, but I still can’t accept that there is anything that I can’t do because I have diabetes. Yes, this gets me in trouble sometimes. No, it doesn’t stop me. 16. Something I never thought I could do with my illness that I did was: I’ve never believed there was anything I couldn’t do with diabetes. Still, I like to push the envelope. Skydiving is fun. 17. The commercials about my illness: When I see a commercial about diabetes, I feel like it is targeting the vast majority of people who have Type 2 diabetes, and usually an older audience. 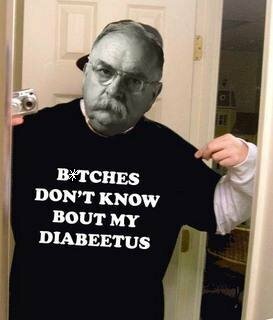 I like Wilford Brimley and all, but that isn’t my generation, so I really wish someone would do something that appeals to those of us with Type 1 or Type 2 diabetes who are under the age of retirement. 18. Something I really miss doing since I was diagnosed is: Life with diabetes is all I’ve ever known, but I miss what I imagine it is like not having to carry so much diabetes stuff around with me. 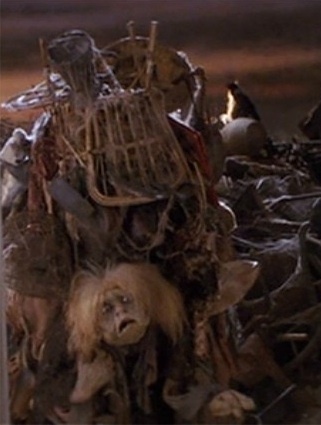 Sometimes I feel like the trash lady from Labyrinth, especially when I travel and end up carrying enough diabetes supplies to last me for two months, even though I’m only going to be gone for two days. 19. It was really hard to have to give up: Although I don’t think my personality is that of someone who would thrive in the military, it does sometimes aggravate me that diabetes took away the option for me to join a branch of the armed forces. Still, I appreciate that I am able to be here, alive and well, so that I can appreciate all of those who have. 20. A new hobby I have taken up since my diagnosis is: Blogging and engaging with the Diabetes Online Community (DOC) has been one of the most rewarding aspects of my life with diabetes so far. 21. If I could have one day of feeling normal again I would: I don’t feel abnormal, except when my blood sugar is too low or high. I wouldn’t be opposed to a day without having to monitor my blood sugar and every single thing that I do and eat. If I could have that, I’d probably just spend all day pigging out in the candy shop at Walt Disney World. 22. My illness has taught me: Patience, and the fact that I don’t have enough of it. 23. Want to know a secret? One thing that people say that gets under my skin is: “How sick are you?” I want to really make them feel awkward and answer that question with something akin to, “Well, at night I dream of riding horses naked in the rain, while hunting dinosaurs with rocket launchers, and then after a good hunt sitting down to a feast of buffalo pterodactyl wings and celery sticks. With ranch dressing.” I’m weird. 24. But I love it when people: Take the time to ask me questions, and clarify what they know or thought they knew about diabetes. 26. When someone is diagnosed I’d like to tell them: You can do this. And you will do this. And you will be better because of it. Because you’re good enough, you’re smart enough, and doggone it, people like you. 27. Something that has surprised me about living with an illness is: That most of the time I don’t feel ill from it. Awesomesauce! 28. The nicest thing someone did for me when I wasn’t feeling well was: When you have a low blood sugar with diabetes, it tends to wreck all plans of whatever was happening prior to that moment. I am always and eternally grateful for the folks that put me first when I have a low blood sugar and need a little help. Here is one such story. 30. The fact that you read this list makes me feel: Grateful. Whether you have diabetes yourself, or someone you care about has it, I hope you were able to take away something worthwhile. I think it will be interesting to look back on these answers and see how and if they change with time. Are you curious? Do it! Last weekend A-Flizzle and I hit the road to go see a Typical Type 1 and a bevy of Bob’s. Along the way we were fed by 13 Gypsies, a Bob and I went for a solid 24 mile bike ride, we all witnessed a catastrophic Contagion, had some times that were a little low and a little high (BG-wise), and we even managed to snap a few pictures along the way. It's extremely important to stay hydrated at all times. There is always my personal favorite way to stay hydrated. What? It had my name all over it. If you have too much though, things might get out of hand. Breakfast with two fairytale creatures: A unicorn and an A-Flizzle. What more could a PWD ask for? It has been a couple of weeks since I’ve put together a solid blog post. I’ve been busy. I’ve been traveling. I’ve been exhausted. I’ve been preoccupied. But mostly, I’ve just been out of whack. Normally, my blood sugars are prone to running low. I can be eating and run low. It’s just the flavor of diabetes that I’ve been blessed with, despite the basal testing and best precautions. The past couple weeks though, I’ve found myself in the 200’s on more than one occasion. At work sometime around mid-morning, 229. Before spin class, 250. A few hours after dinner, 240. Granted, I still have an occasional low, like yesterday’s lovely panic-laced BG of 37, but still. I hate running high. Since I am accustomed to running numbers in the double digits rather than triple figures, I can feel every single mg/dl of a 200+ blood sugar. It makes me tired, it makes me irritable, it makes me unable to focus, and it makes me wonder what in the Sam Hill is going on?! To try and figure out where this out of whackedness is coming from, I figure it’s worth taking a step back and looking at the bigger picture. I can’t keep proceeding like this, so I have to find out where my stresses are, and remove them. So my blood sugars are higher than normal. Why? The first guess is something to do with my diet. I will admit that I’ve had a few more carbs in my meals than I should have lately, but I’ve also started back at the gym for the past three weeks. I need those carbs for fuel. I’ve discovered spin class at the gym, and I can’t keep up the pace for 45 minutes that burns calories, gets my heart pumping, and leaves my entire body covered in sweat if I don’t have the proper fuel. My blood sugar can easily drop 100-200 mg/dl in one single spin class, so it requires a careful balancing act of fuel in and power out. Still, if I’m being honest with myself, I probably don’t need ice cream, pizza, or Chinese take-out to fuel my gym experience. I know I could do a bit better job. But is that it, just my diet that could use a little fine tuning? Being tired is easy to understand. I don’t sleep enough. But why am I not sleeping? Probably because I have way too much on my mind lately. My mind is all work, responsibilities, money, worry, friends, family, never feeling like I am getting enough accomplished, needing outlets and not being able to find them, not being able to share and say what I really think about things, not getting the support that I need, keeping way too much bottled up inside…too much thinking! Or maybe too much coffee. Naa…no such thing. Ironically, I can’t focus because I have too much to focus on. To give one thing my undivided attention, I stress out over everything else that gets ignored and suffers. It’s this constant vicious cycle that keeps repeating over and over, and meanwhile I feel like I’m falling further and further behind. As you can see, it isn’t just one thing that is the challenge that must be overcome. It is all of it added together that makes it a giant. I don’t know what the exact solution is, but I know I have to keep trying, and hope that I’ll find a way to bring this giant down to size before he looks at me and says, “Hmm…tastes like chicken?” and then eats me alive. Today I’m going to put a new CGM sensor on my body, and I’m going to pull the rug out from under these high blood sugars at least. I hate them. They make me feel awful. So goodbye to them. I’m bad about taking breaks away from CGM, but I didn’t get it just to look at it. I got it to warn me of when there is a problem, diabetically speaking. Be it warning me that I’m high or low, the CGM has a purpose, and I’m not giving it a fair opportunity to help me when I’m not wearing it. And clearly, I need the help right now. I’m also going to resign myself to focusing on just one project, at least temporarily. Not 30 projects and things that I need to get done. Just one. And I’m not going to stop until that one is done. Because then I will have 29, instead of 30. And that is progress, no matter what speed it travels at.